Jury picking is far from an exact science; however, I believe that you can use social sciences to best determine the kind of jury you will get, or at least, predict if they will be favorable to you. Insurance defense firms go to the extreme; you may have seen the movie “The Runaway Jury” based on the book by John Grisham. The plot deals with Gene Hackman’s character as a jury consultant who helps defense Attorneys get a jury that will hinder justice. Insurance defense firms may do such unethical non-sense; however, personal injury attorneys, like us at Pepper & Odom, P.C. Law Firm, strive to be straightforward and honest in all of our dealings with the Venire, other Attorneys, and with our clients. Jury Picking comes down to three basic things in my mind: 1. I want a juror with an open mind; 2. I want jurors to put themselves in my client’s shoes (Mississippi law does not allow the personal injury Attorney to say this in front of the jury, but that is what I always want); and 3. I want jurors who will argue on my client’s behalf during jury deliberations, they will stand up for what they believe. As to number 2 above, Mississippi law is written to help corporations such as insurance companies who are happy to take your money but then fight you at every turn to keep money from you. I get the right jurors by asking a lot of questions during Voir Dire, which I explained in my last blog, I do this by trying to determine if they are sympathetic/hostile to my client’s case. Once I do that, then the insurance defense lawyer will do so as well. Believe it or not, I usually pick the jury and strike members of the Venire by my gut feeling on those people. Will a person do the right thing? In the past, I have been able to spot those that will and those that will not. It all comes down to your conversation with Venire, their body language, and various other factors. This is done by striking members from the Venire panel. Peremptory challenges allow legal counsel to strike the jurors from the venire by simply saying you want them gone. This is done so that the best and fair minded jury can be found. I am Personal Injury Attorney Daniel C. Jones of Pepper & Odom Law Firm. I am a personal injury Attorney because I help people put their lives back together after they have been wrongly injured by someone. 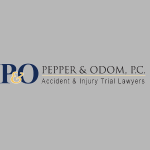 At Pepper & Odom Law Firm, we have years of trial experience and Jury Picking that we will put to work for you, give us a call at Pepper & Odom Law Firm, 601-202-1111.